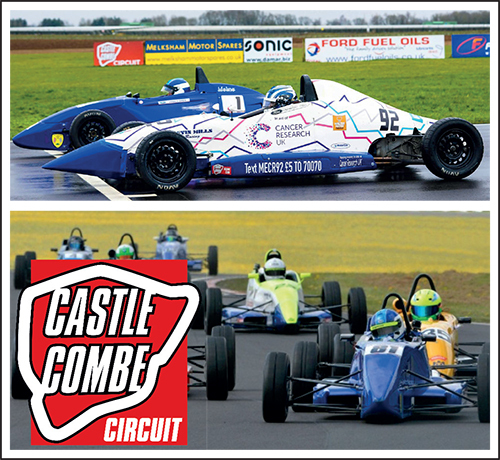 We are delighted to be continuing our sponsorship of the Formula Ford Championship at Castle Combe Circuit for a second year. The Melksham Motor Spares team will also be present at a selection of the race track’s crowd-pleasing Action Day events throughout 2019, meaning that all performance- and track-based car fans in attendance will have access to some of the very best new products and innovations on offer. With local man Luke Cooper being crowned the Formula Ford 1600 champion in 2018, the 2019 season promises to be just as thrilling and sees the 50th anniversary of the Championship, with special anniversary branding and a one- off trophy race at the season-opening Howard’s Day racing event taking place to commemorate it. Vist https://castlecombecircuit.co.uk for full details of the 2019 race season and Action Days.